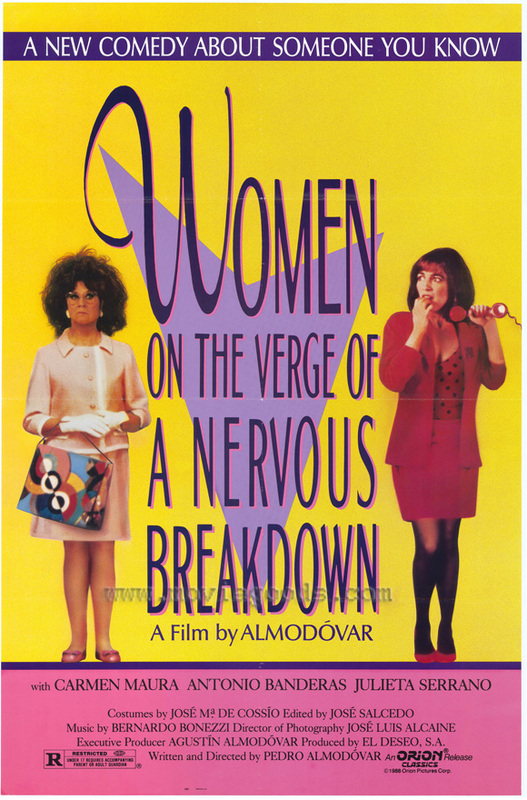 David Yazbek’s latest adaptation of a movie for the musical theatre stage – he’s previously been responsible for the score of The Full Monty and Dirty Rotten Scoundrels – will be a reworking of the 1988 Pedro Almodóvar film, Women on the Verge of a Nervous Breakdown. With a book by Jeffrey Lane, the musical tells the tale of a group of women in late 20th-century Madrid whose relationships with men lead to a tumultuous 48 hours of love, confusion and passion. The production has been developed in a series of workshops over the past year with input from Almodóvar himself. Directed by Bartlett Sher, under the auspices of the Lincoln Center Theater, the show aims to start previews on 2nd October, with opening night set for November 4th at the Belasco Theatre on West 44th Street. I know some will disagree, but I think Yazbeck is an interesting match for the material and discovering that Almodóvar himself has been involved in the workshops is certainly an intriguing tidbit. With this and Paradise Found on the cards already, this upcoming season is already looking more interesting to me than the current one as it draws to a close. 1. Women on the Verge of a Nervous Breakdown DVD. This entry was posted in Broadway, Commentary, Musicals and tagged Bartlett Sher, Broadway, Commentary, David Yazbek, Dirty Rotten Scoundrels, Jeffrey Lane, Lincoln Theater Center, Musicals, Paradise Found, Pedro Almodóvar, The Full Monty, Women on the Verge of a Nervous Breakdown. Bookmark the permalink.